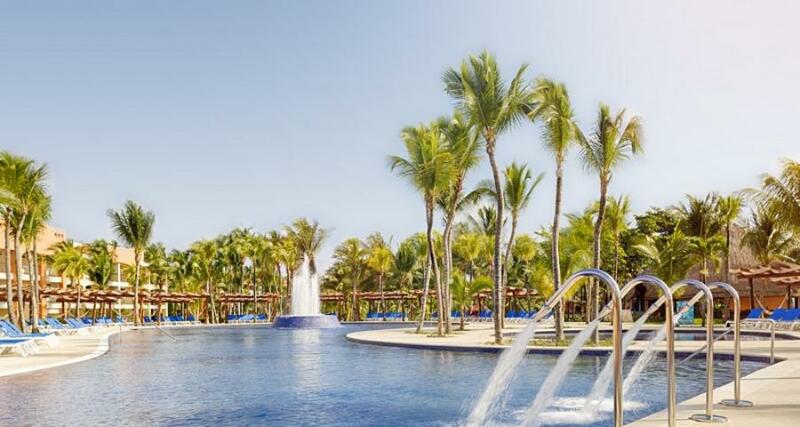 Barcelo Maya Beach is a luxury 5* family friendly beachfront resort located in Xpu-Ha, Mexico. It features 648 rooms, swimming pools and spa services. All inclusive meal plans are available! Barcelo Maya Beach has dream-like facilities, a stunning Riviera Maya beach, and an outstanding All Inclusive plan for an unforgettable stay. This magnificent resort offers everything you need for a wonderful vacation: fun, entertainment, and relaxation. When you reserve this hotel, you will have the option to enjoy the buffet restaurants, bars, pools and the beaches that form part of the hotel complex. If you want added comfort, stay in one of the Premium club accommodations. When you choose this category, you will be provided with privileges like private check-in and check-out, concierge services and premium beverages in all the bars and restaurants in the hotel, and other benefits you can ask about upon your arrival.